A recent update in the Terms of Service makes it so that foreign players are restricted from connecting to PSO2's Japanese game servers. Additionally the game is has stopped accepting foreign payment for their Arcs Cash System. The news comes from the Phantasy Star Online 2 fan blog Bumped.org which has been translating pretty much everything official about and in Phantasy Star Online 2. Last week, bumped reported that SEGA Japan recently added a clause in their Terms of Service which basically restricts the game servers to only residents inside Japan. So it seems that foriegn players like me are kind of out of luck right now if want to play current Phantasy Star Online 2 we will run the risk of becoming banned by SEGA (labelled as a "Wicked User". 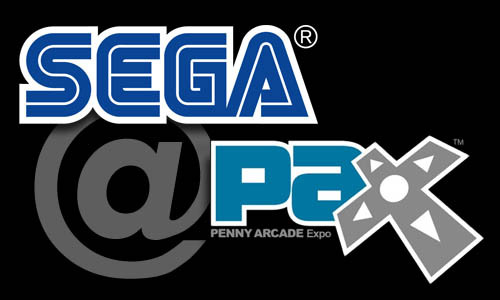 SEGA America has announced that the game is coming to North America and the European territories in 2013 and that the game will be playable at PAX (Penny Arcade Expo) this year. So why are the players outside of Japan being locked out of the game? Following the update to the TOS, PSO2 producer Satoshi Sakai claims the restriction was basically make it so that it become easier from them to address the malicious users which have been exploiting the game and causing grief on the Japanese game servers. A rather infamous exploit is these users would somehow be able to move the physical locations of NPCs in particular the quest givers that are normally found at the quest counter are move to a location that is unreachable by a normal character. In the example below, the two NPCs are moved outside of the ship that is the HUB world, and into outer-space! To put it simply, now in this case a player will no longer be able to take on any quests within the game. A interesting point that Sakai makes is that, while they do not want to cut off connections of everyone outside of Japan (meaning that a player outside of Japan can still technically login into the game) if malicious activity from foreign players continue, SEGA will be forced to take further drastic measures. 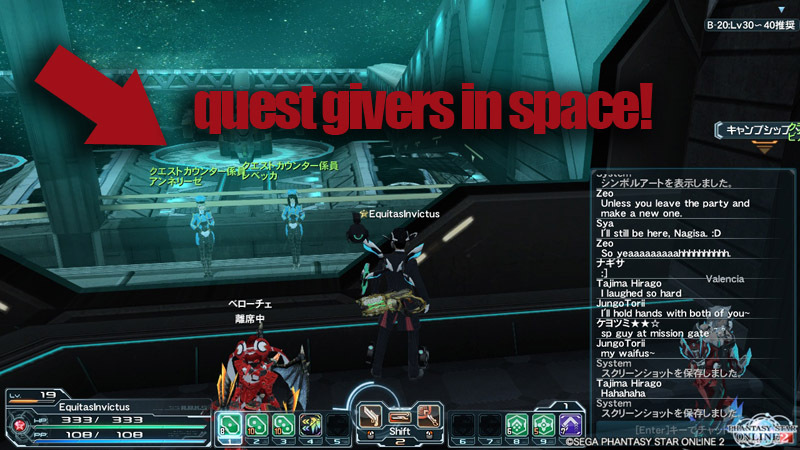 No one wins in this situation, especially for all the players of PSO2. Having to contend with exploits and wicked users means less priorty for new content being created and being released. To an extent this may also impact time of PSO2's NA/EU release for instance, if things get too out of hand, the producer may not have the time nor attention to aid the localization teams. Sure the game is finished, but a lot of time localization teams need to consult or work with the producer on other versions of the game. I now will have to stop recording my Phantasy Star Online 2 gameplay videos. I can only hope some good news will come soon about this current situation.